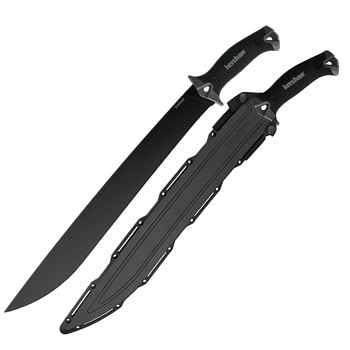 The Kershaw Camp 18 machete / knife is unique in that it blends the line between a big knife and a knife-looking machete. This makes the product interesting in its own right because how many times have you seen so many different brands, so many different machetes, yet they look like they were all struck from the same mold? 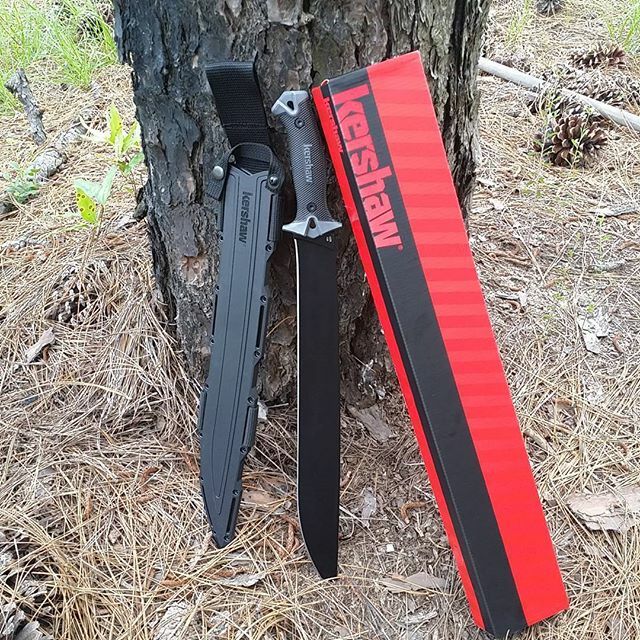 It's refreshing that when the Kershaw Camp 18 is released it got its own look. You could see a bunch of machetes on a shelf, and this one would certainly stand out. It has that look that makes your friends say, WHOA, when you unveil the Camp 18 from its sheath! Full tang construction, two lanyard holes on the handle, and there is three sturdy nylon velcro straps to adhere to.